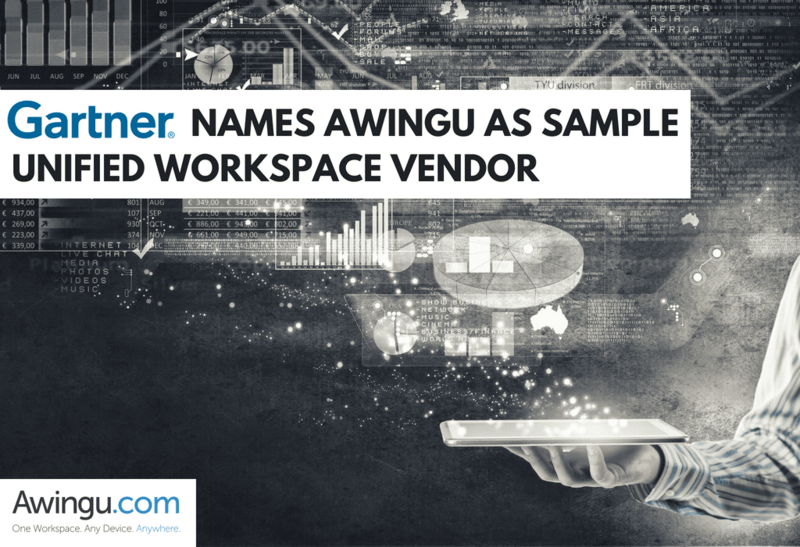 In ‘4 Steps to Implement a Perimeterless Digital Workplace‘, Gartner Inc. named Awingu as a sample vendor in Unified Workspaces. The report, published on August 6th, 2018, discusses the current state of the digital workspace and the business challenges that they are the solution to. On the Gartner Inc. website, it reads: ‘Digital business expects an agile workforce independent of location and device. I&O leaders must drive employee agility by creating a perimeterless digital workplace to enhance customer responsiveness and employee engagement, and yet minimize security risks.’ That recommendation is perfectly in line with what Awingu has to offer: a secure unified workspace that enables accessing and working with all of your company applications and files from anywhere and from any device. If you wish to find out more about how we can help you to deliver a Unified Workspace to your customers or employees, do not hesitate to contact us!